You can have these Windows 10 based DMX Control PC’s operating your light shows! We use Windows 10 based PC’s that run DMX Control software using Aurora Afterglow and Enttec DMX USB interfaces. 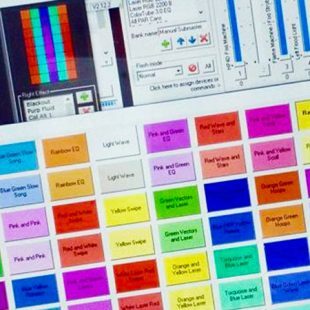 The software also runs various plug-ins, including the MadMaxOne software that controls the Verticolor LED panel matrix. We have one rack mount ..